Now this is BLING! 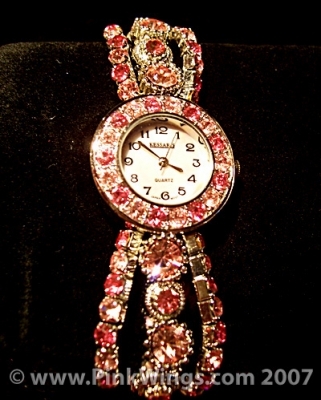 A shiny pink crystal watch with 3 rows of bling. This watch runs small and will fit up to a 7" wrist. On sale for $20.